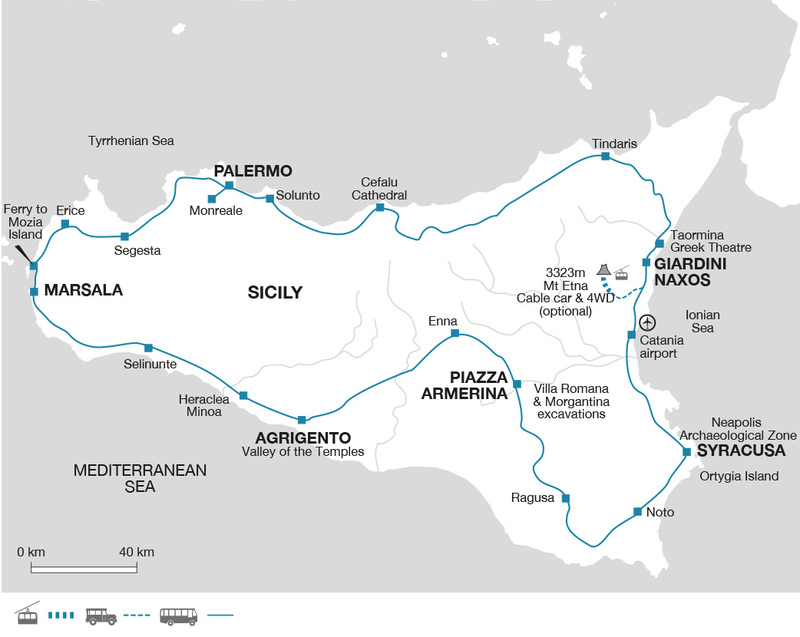 As well as visiting the most famous and well visited archaeological sites in Sicily this trip also takes in some of the fascinating lesser visited ancient ruins, such as those found on Mozia Island, in Solunto and Heraclea Minoa. This not only gives you the chance to see more of the island’s history but also means that we’re helping to fund the ongoing upkeep of the these sites. It also helps to reduce the harm that can come from over-tourism. Though you will need to drink plenty on this trip, we encourage you not to buy bottled water due to the plastic waste this generates. Tap water is perfectly drinkable in this area so bring your own reusable water bottle. Our Tour Leaders are trained by us in the importance of responsible tourism with guidance given on how they can make a difference. The majority of accommodation used on this trip is locally owned and in which you experience great food, most of which is sourced locally, and lovely Sicilian wine. This not only provides direct employment within the hotel, but also has the effect of percolating money beyond to small businesses that supply the hotel and in this way money is spread throughout the region we visit. Other people too benefit from our visit includes drivers and local guides, as well as the staff in our local handling agent's office, which is based on the island. On this trip we are also accompanied by a local specialist, Antonio, who will help us to understand more about the history and culture of the island.